Accompanied by sweet corn from Aquitaine and carrots from the Landes, our chicken from Poitou will delight the taste buds of little gourmets. 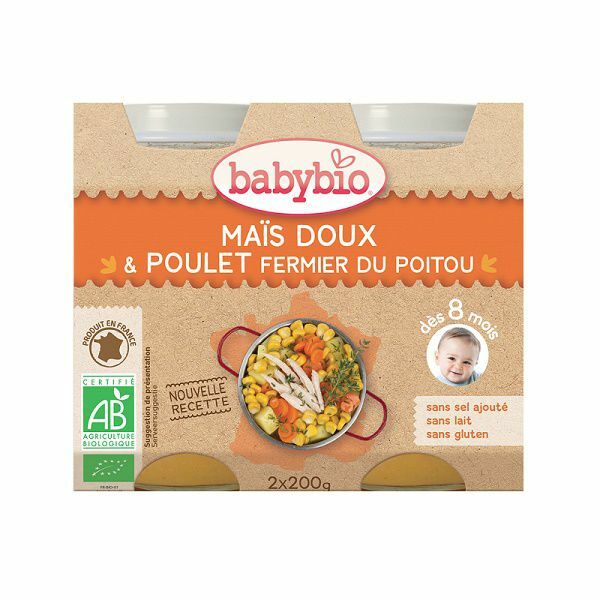 Vegetables, meat, fish, pasta or quinoa..., Babybio has carefully selected all these ingredients for its Meal ranges, using 100% organically grown products. No salt added and steam-cooked, so that baby can discover the real flavour of food. 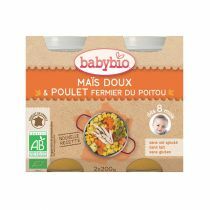 The subtle flavours of the Meals range are suitable for babies aged 8 months and older.